LACE IS DEDICATED TO CREATING A LEGACY OF CONNECTION TO EVERY WOMAN, YOUNG AND OLD THROUGH AUTHENTIC EXTRAVAGANT LOVE; COMMITTED TO HELPING DISCIPLE OTHERS THROUGH FRIENDSHIPS AND GOD’S WORD. Women of Prayer meet every first Saturday @ 7:30pm in the LifeChurch Discipleship Center. Bible Studies available in your home! Once Upon a Time - LACE Women's Event January 10, 2019 @ 7:00. See picture below. Life-Changing Bible Studies! Now available online. ​Download the pdf for free! Be encouraged, challenged and inspired by the Word of God! 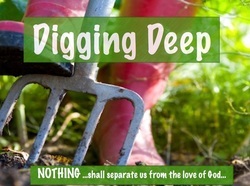 Digging Deep, a four part lesson and video series. Click here to view and download the online resources. He Is Enough, a four part lesson and video series. Click here to view and download the online resources. At His Feet, is a three part lesson and video series. Click here to view and download the online resources.